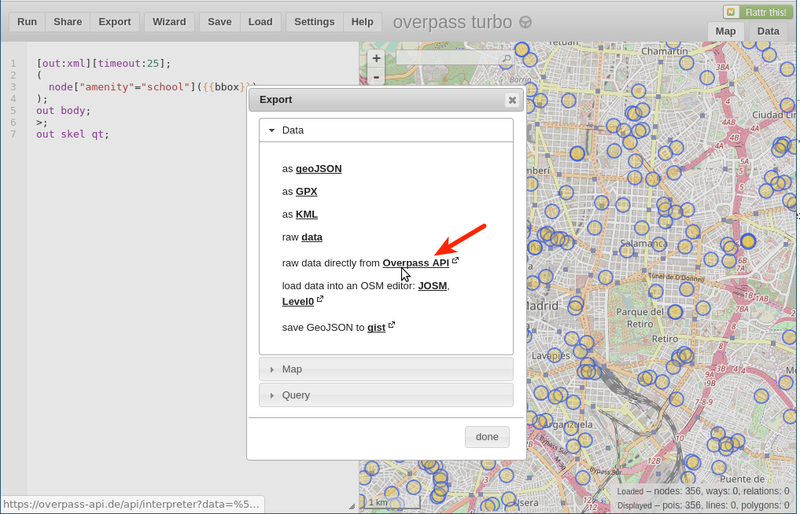 Learn how to use Overpass Turbo to create a CARTO Sync Table and connect real time OSM data. Steps to create a synchronized table in CARTO that queries OSM for specific data. 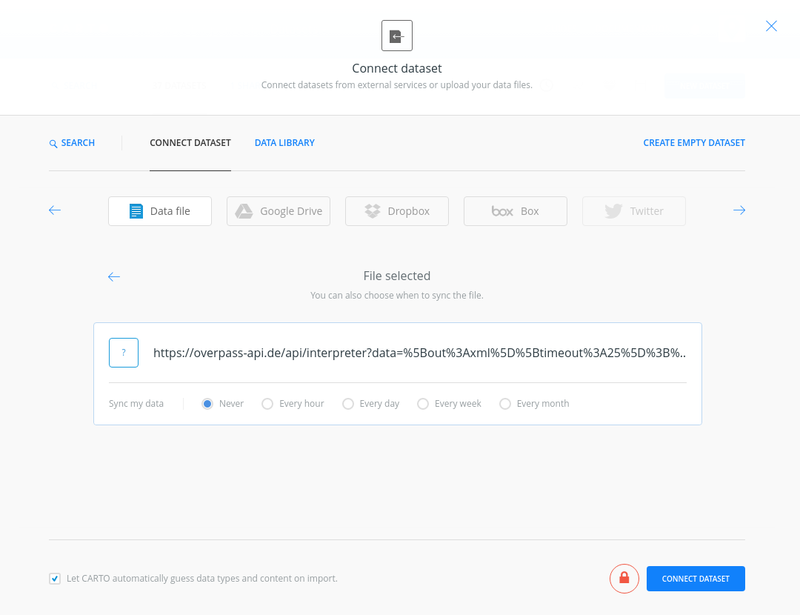 You can use the wizard or simply put this code and adapt it to your desired tags. Use the Map Features page from the OSM wiki to look for your desired tags. Run the query and check if it’s working, you should see points or lines being rendered on top of your basemap. Several tables will be created, some with none geometries, some with your data depending on the geometry type you are importing.